Here at Blake Utter Ford, we're excited to tell you about the new Ford EcoSport, one of today's top compact SUVs. 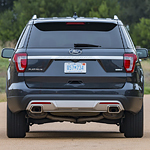 Ford designed this sporty SUV so you'd be ready for anything whether it's a cross-country road trip or a ride across town for errands. Ford EcoSport is all about conserving resources for a better environment and savings for you. Using Auto Start-Stop Technology, EcoSport's system automatically turns off the engine when not needed, like idling at traffic lights or waiting to pass construction areas. Some people think you have to sacrifice performance for looks. This doesn't hold true with the 2019 Ford Edge ST. This vehicle has enough of both to make any SUV driver happy. 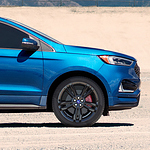 Read on for an overview of the new Edge ST.
Power is one thing the Ford Edge ST isn't missing. The 2.7 V6 has a turbocharger and makes use of Ford's EcoBoost technology. You can expect 335 hp and 380 lb.-ft of torque under the hood. This is enough brawn to power you through the toughest road conditions. If you’re in need of a reliable used car that you know you can trust, come to Blake Utter Ford and check out our huge selection of Ford Certified Pre-Owned vehicles. We off trucks, SUVs, cars and even crossovers all less than 6 years old with fewer than 80,000 miles. We have a full staff of professionals here to explain the program to you and get you on the right track towards owning a “new” used vehicle. There are trucks, and then there are trucks like the Ford F-150. 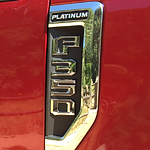 The new Ford F-150, available near Denison and Durant today here at Blake Utter Ford, provides unmatched rugged capability, powerful performance, and premium features aplenty. Curious? Learn more about why a new F-150 from us could be your ideal new truck choice in or around Sherman, below. At Blake Utter Ford, we're committed to providing the perfect vehicle for each and every one of our customers. 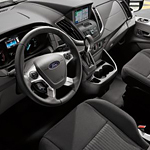 Due to popular demand, we make sure to offer plenty of Ford SUVs – including the versatile new Ford Escape. Interested in the Escape but not sure if it's the right vehicle for you? 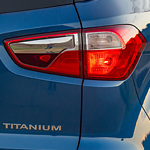 Read on to learn more about this new Ford model. 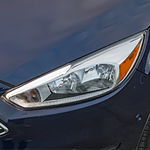 If you want a car that's stylish and modern, consider the new Ford Focus. This popular compact car has a sleek design that's sure to attract attention wherever you go. The Focus is available at Blake Utter Ford in Denison. You can choose from a wide range of colors and wheel designs to make the car your own. For people who are looking for a vehicle that is going to tow their heavy items, the 2019 Ford Explorer is just right. It has a lot of capabilities for towing. At the same time, it also has a lot of features that can make the experience a lot safer. Drivers know after a while that they are going to be dealing with changes in the conditions of the road. This can result in various issues that make for an uncomfortable ride according to the type of vehicle they are driving. 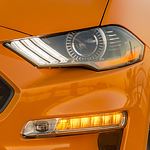 We at Blake Utter Ford have seen that the 2019 Ford Mustang has been designed to take on the rougher road conditions. The Super Duty is the pickup of choice for owners needing a reliable vehicle capable of handling the tough jobs. The versatile yet sturdy truck is ideal for work or play. Our latest inventory options feature enhanced durability factors, which ensure that your Super Duty performs for years to come.